Orlando, Fla. – Geeks and Nerds (GaN) Corporation, an award-winning company providing rapid innovative product development, robust systems engineering, effective and efficient test and evaluation, and thorough cybersecurity support for government and industry clients, has established an Orlando office at the University of Central Florida Business Incubator in the Central Florida Research Park. GaN recently joined the incubation program’s Soft Landing program, which provides flexible office space, business contacts, and other services for a limited time to companies from out of state or the country who want to establish operations in the area to expand their business. Dr. Jonn Kim, president and CEO of GaN Corporation, said one major factor that influenced the decision to expand into Orlando through the Soft Landing program was the extensive modeling and simulation industry anchored in Central Florida. The second contributing factor is the role of UCF in the modeling and simulation and cybersecurity industries, and the associated and growing talent pool in Central Florida. The Huntsville, Alabama-based company is now operating in five states, including Texas, Arizona, and Colorado. GaN has been ranked as one of the “Top 100 Companies in the U.S.” by the U.S. Chamber of Commerce for the last four years. Jeff Frost, Senior Systems Engineer, GaN Corporation-Orlando, 256-690-3495 Jeff.Frost@GeeksAndNerds.com. Carol Ann Dykes, Site Manager, UCF Business Incubation Program, 407-207-7426, carolann.dykes@ucf.edu. Larry Vershel or Beth Payan, Larry Vershel Communications, Inc. 407-644 4142 lvershelco@aol.com. 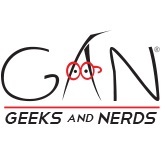 Incorporated in 2004, Geeks and Nerds (GaN) has grown from one employee located in Huntsville, Alabama, to over one-hundred employees with offices in Texas, Arizona, Colorado, Florida and multiple Alabama locations. They successfully executed 27 prime contracts and hundreds of task orders with exceptional results. With partnerships among other businesses both small and large, GaN accepts the challenge to provide groundbreaking support, services, and solutions to past and future customers. GaN has been named among the Top 100 Companies in the country by the U.S. Chamber of Commerce for four consecutive years. The University of Central Florida Business Incubation Program is a community resource that provides early-stage companies with the tools, training, and infrastructure to become financially stable, high growth/impact enterprises. Since 1999, this award-winning program has helped hundreds of local startup companies reach their potential faster by providing vital business development resources. With seven facilities throughout the region, the UCF Business Incubation Program is an economic development partnership between the University of Central Florida, the Corridor, Orange, Osceola, Seminole, and Volusia Counties, and the cities of Apopka, Kissimmee, Orlando, and Winter Springs. Participating companies sustain more than 3,600 local jobs and have had a total impact of $1.51B on regional sales and $2.48B on regional economic output. During the last fiscal year, the program has returned $7.95 for every $1.00 invested in the program. For more information, visit www.incubator.ucf.edu.